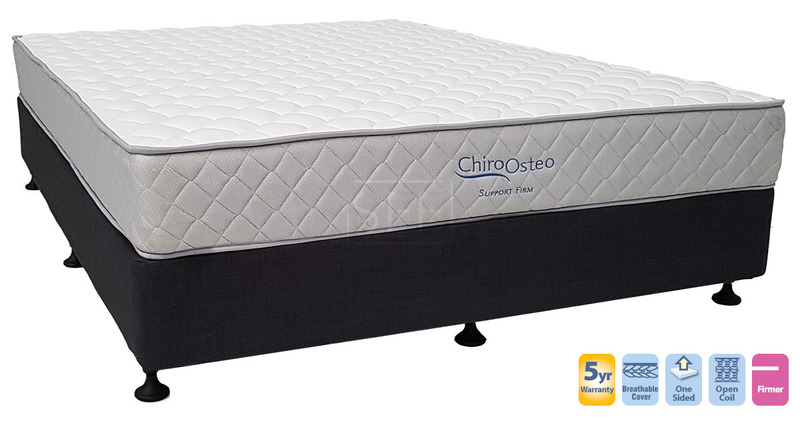 The Chiro Support Firm King Mattress & Base is a great buy at our low prices. Supporting you is a "Firm" High Coil Count Inner Spring (almost twice the number of springs) and for comfort Luxury Peel Foam is used to provide a gentle and supportive sleep surface. Backed by a 5 Year Guarantee, you won't find better than the Chiro Support.